CHARLOTTE, NC — Twenty-eight years ago, then New York Governor Mario Cuomo gave a keynote address to the Democratic National Convention in San Francisco with a speech that will be remembered for the ages. But that speech, which focused on the demise of an industrial economy, was built on passion and emotion. Last night, Former President Bill Clinton gave a speech to delegates that will be remembered for the ages, but for different reasons. It was a speech based on facts and logic. It was a speech which established protocols for how voters should think about the issues. It was also a tactical speech that counseled voters on how they should evaluate the Romney message which will be delivered not door-to-door but over the airwaves. 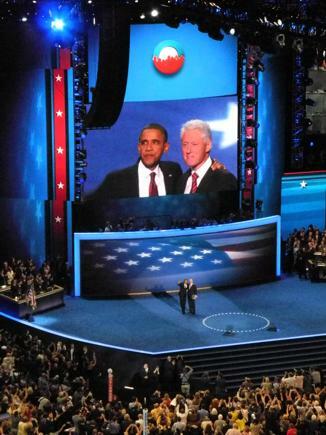 It was Bill Clinton at his best; he didn’t just speak — he taught. For those seeking to make an argument in an era of hyperbole, the Clinton speech — indeed perhaps a closing argument — is a lesson in how to organize facts and raise questions. It is a lesson for whistleblowers – a lesson for those who are sometimes caught up by emotion and argue passion rather than logic.